For a vibrant lifestyle in the heart of the city, look no further than Ontario Place Apartments in Omaha, Nebraska. Our spacious, floor plans and state-of-the-art amenities provide residents with the gold standard of modern apartment living. We embody the vibrant lifestyle you've been seeking with elegant accents, undeniable conveniences, and top-notch customer service. Apartments boast fully-equipped kitchens with granite countertops and breakfast bars, large walk-in closets, and personal patios or balconies. 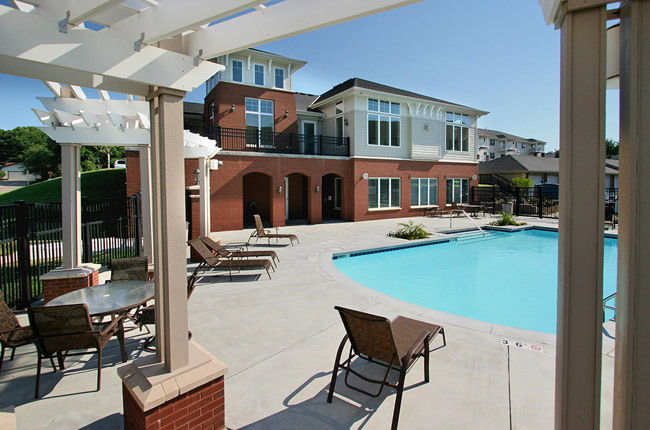 Our pet-friendly community also offers a luxury swimming pool and fitness center. Schedule your personal tour with us today. Boasting a central location just off Interstate 80 and 72nd Street, Ontario Place grants you with seamless access to all of Omaha! With a quick fifteen-minute car ride, you'll find yourself in the heart of Downtown Omaha where you can take in the sights, scenes, and shops of the Old Market neighborhood. Whatever peaks your interest, your new home is synonymous with all of your favorite community activities and destinations.